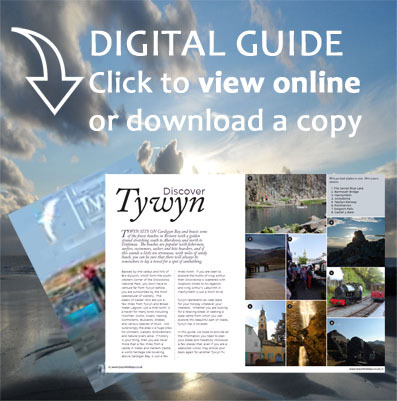 Snowdonia offers the photographer plenty of opportunities to capture stunning landscape shots with its mountains, castles and hundreds of miles of coastline. What you may not be aware of is that we also play host to one of the UK’s low flying areas (LFAs). The RAF has 18 LFAs dotted around the British Isles coded, with a very British sense of pragmatism, as LFA1 through LFA19. Curiously, there is no LFA15 – is this the UK’s ‘Area 51’? Snowdonia’s LFA is LFA7 and is known locally as the Mach Loop. 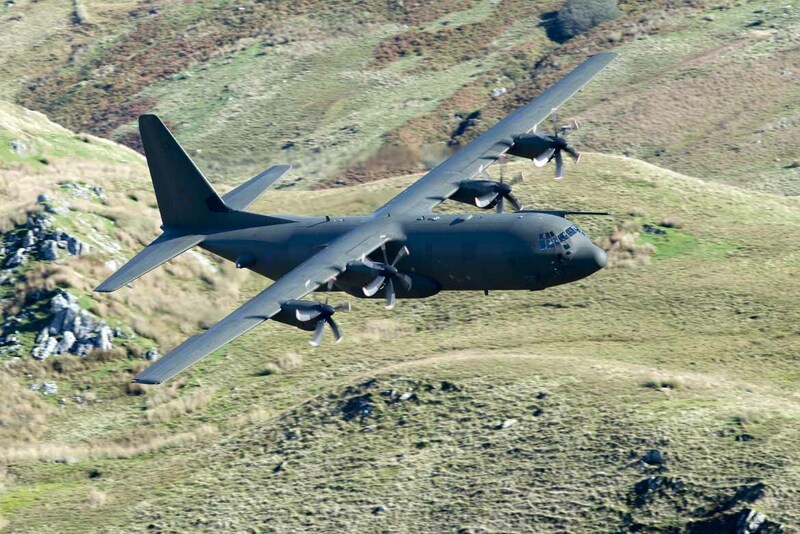 The Mach Loop (or Machynlleth Loop) covers a series of valleys, stretching between Dolgellau to the north and Machynlleth to the south and is regularly used for low level training and as such is an excellent location for low level photography. If you want a pure adrenalin kick, and the chance to get some fantastic photographs, then the Mach Loop it is. 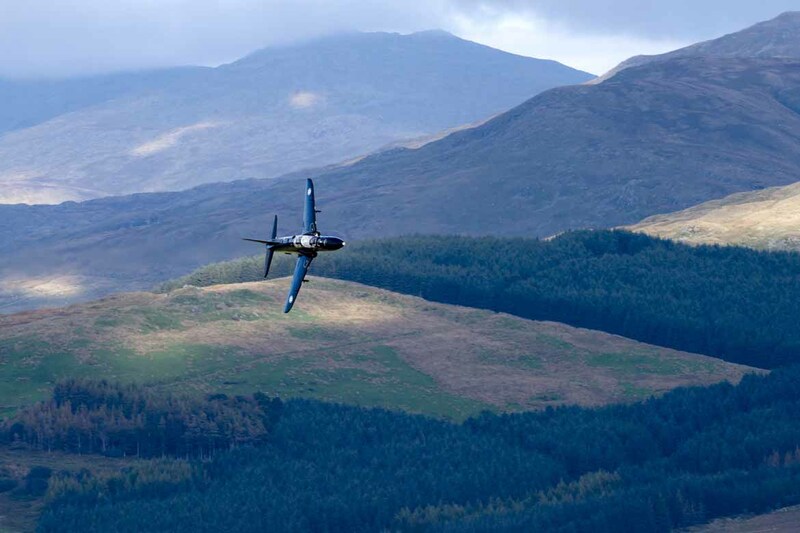 It’s amazing to watch the aircraft as they fly through the twists and turns of Snowdonia. 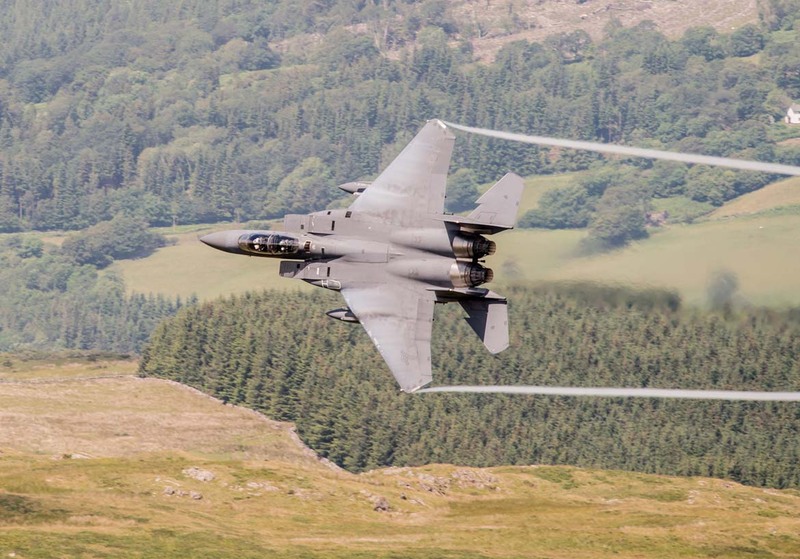 Both the RAF and USAF use the Mach Loop and the aircraft that regularly fly this area include Tornados, Typhoons, Hawks and F-15E Strike Eagles. Two favoured spots for capturing some fantastic images are the Bwlch Middle Shelf and Cad West, or the ‘Fence’ as it is also known. Walking from the car park to the Bwlch Middle shelf takes around 40-minutes. Climb the path from the car park as it heads south. The aircraft arrive from the east and then either head north towards Bala, south towards the Cad pass, or west for Dolgellau. Cad West represents an easier climb, coming in at around 20-minutes, but the sacrifice you make is that you may miss a few jets unless they travel south from Bwlch. However, the pros of this spot are numerous: there is ample parking for around 20 cars, the path to Cad West is clearly marked, and mostly importantly, you get plenty of warning of incoming aircraft and so you shouldn’t miss any that do choose this route. You also get the opportunity to take a few shots as the jets bank over the picturesque Talyllyn lake. Once you are parked-up follow path from car park up and north-eastwards until you reach a fence. Keep to the path as it heads westwards (left) and follows the fence. Exit Tywyn towards Bryncrug on the A493. However, before you get to Bryncrug turn right on to the B4405 signposted Talyllyn. Travel through Abergynolwyn and you will approach the Talyllyn lake. Follow the B4405 as it skirts the lake on your left. Keep on the B4405 until you reach a crossroads. Turn left at the crossroads on to the A487. After around 1.5 miles you will notice the Cad west/east car park on you left. The Bwlch Middle Shelf car park is just a little further. Continue on the A487 and then turn right on to the A470. After around 1.5 miles you will spot the Bwlch Middle Shelf car park on your right. 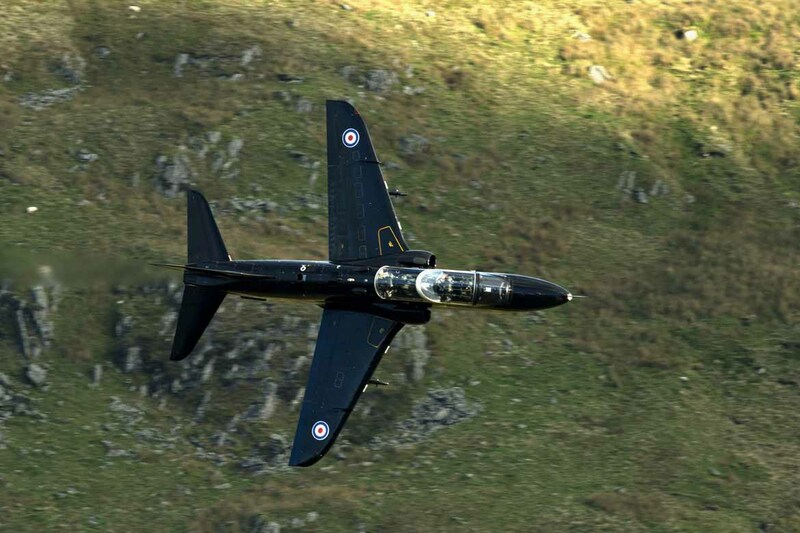 When does the RAF fly the Mach Loop? The RAF publish a timetable of when the LFAs are in use but this is not strictly adhered to. This entry was posted in Activities and Attractions on 6 October, 2014 by Paula.